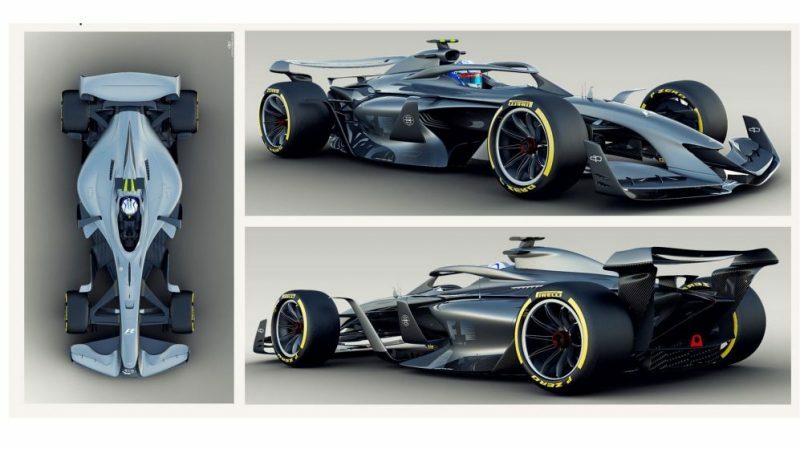 Formula 1 has officially revealed its idea of what the cars will look like as it develops new technical regulations for the 2021 season. 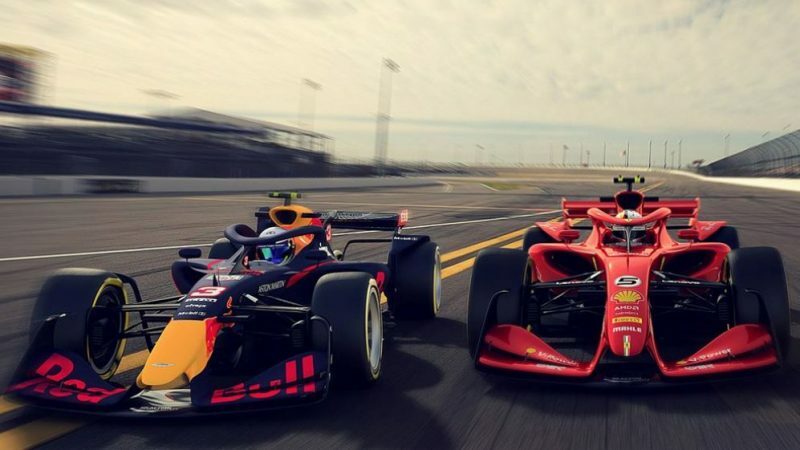 Images were leaked on social media on Thursday providing a glimpse into the direction the sport was going ahead of a presentation from F1’s motorsport boss Ross Brawn. 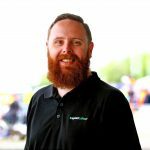 Focus has been placed on creating cars that are visually more aggressive, and can race more closely together on track in an effort to improve the show and attract younger fans. “When we started looking at the 2021 car, the primary objective was to enable the cars to race well together,” Brawn explained. “Once the cars get within a few car lengths of each other, they lose 50 percent of their downforce. “That’s a substantial amount of performance lost. So we set about understanding why that was and how we can improve it. I’m pleased to say we’re at about 80 percent. “As time has gone on, another of the primary objectives was to make great looking cars,” he continued. “We want cars that look better than what you see in a video game, cars that kids want to have up on their walls. “At each stage, as we have been evolving the car, we’ve had someone we are working with create a graphic representation artist to give us a feel of what the car could look like. “That is not to control the development, because it’s critical this development achieves its objectives, but why shouldn’t we have great looking cars as we’re evolving the cars? 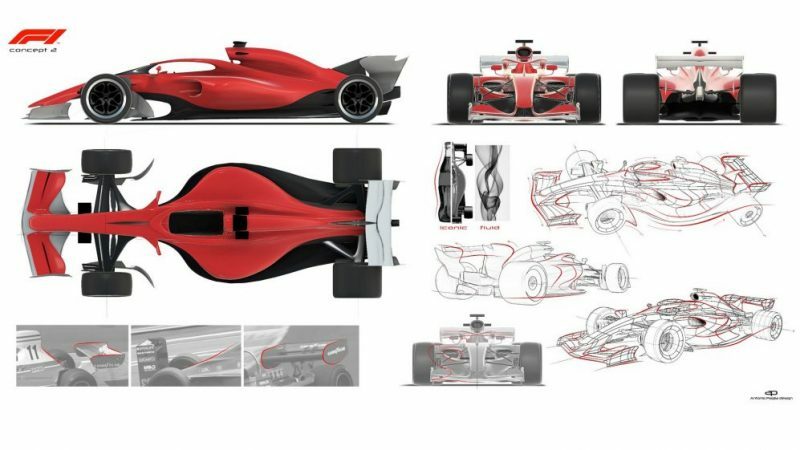 Throughout the development process the sport has worked closely with the FIA, with a graphics designer charting the three evolutions of the concept thus far. 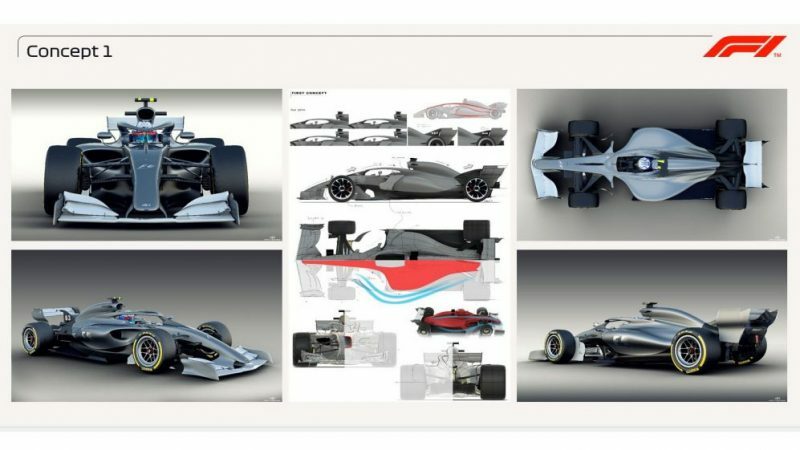 A further evolution over the next 12 months is expected, with Brawn keen to point out that the renderings provide a representation only, and that teams would continue to develop their own unique cars. 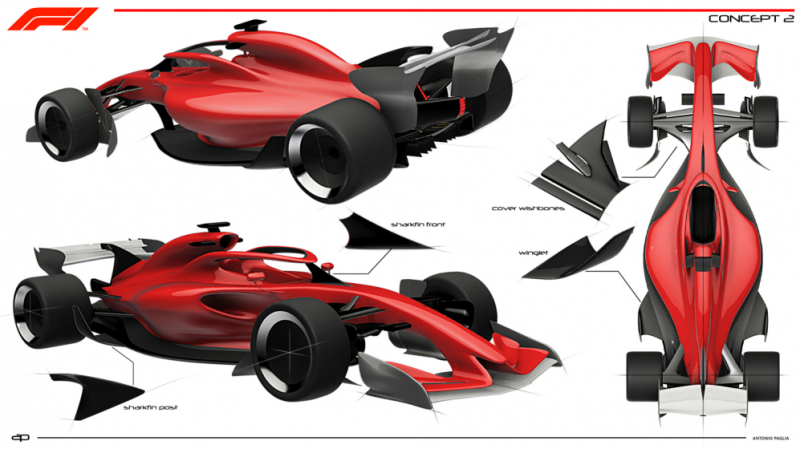 “As the aerodynamicists were evolving the car, the graphics designer was taking where they were and trying to capture it at each stage,” said Brawn. “Concept 2 is a bit more extreme. One of the things you’ll see is the bigger wheels. We’re committed to 18-inch wheels for the future. “They look better but there are a lot of technical reasons why we want them. “The tyres and the wheels are the dirtiest area of the car, they cause huge disruption in the airflow,” he added.